Craft Brew Alliance (NASDAQ: BREW) is one of the top six brewers in the craft brewing segment of the U.S. brewing industry. While the domestic beer market has been facing declining shipments, the craft beer space has been the only source of growth. However, this segment has also been showing signs of a slowdown. The total shipments in 2017 increased by 1.4%, as compared to a 7% growth seen in 2016. 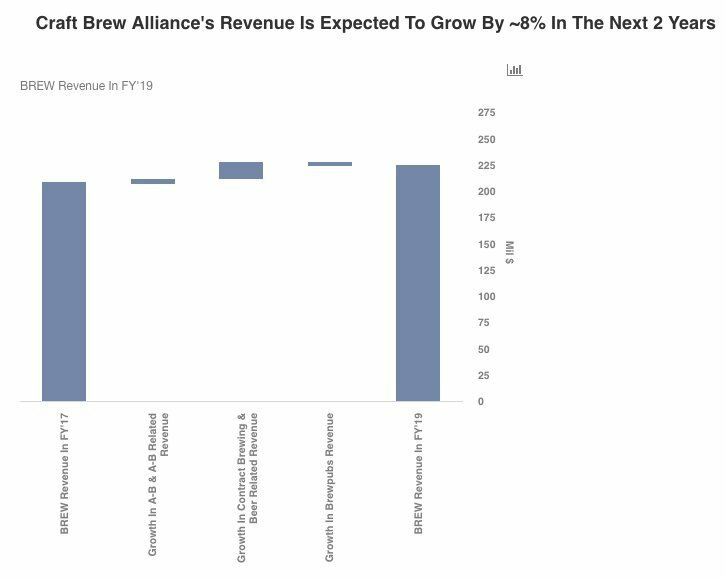 Craft Brew Alliance has been facing declining shipments in recent years; on the other hand, it was able to increase its revenues by over 2% in FY 2017, and its comprehensive portfolio, together with national scale and innovative flavors, gives it a competitive advantage. Craft Brew Alliance has also expanded its partnership with Anheuser-Busch InBev (NYSE:BUD), and in this respect, will take on brewing responsibilities for Anheuser-Busch’s craft beer subsidiaries, in cases where using the A-B facility would be inefficient. We believe Craft Brew Alliance’s revenues will jump nearly 8% over the next two years. 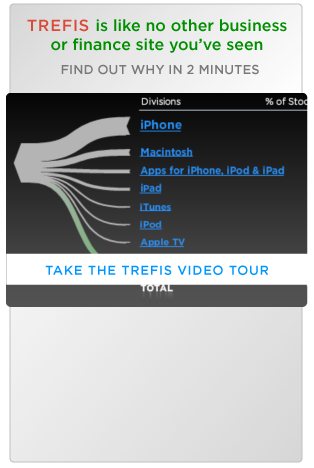 We have created an interactive dashboard which shows the forecast trends. You can modify the different revenue drivers to see how it will impact the company’s expected revenues. Craft Brew Alliance’s revenue comes from three sources: A-B & A-B (Anheuser-Busch) Related Revenue, Contract Brewing & Beer Related Revenue, and Brewpubs Revenue. The former two segments include brewing, and domestic and international sales, of craft beers and ciders from its breweries, while the latter constitutes the operation of five brewpubs. Craft Brew Alliance is the only independent craft brewer in the U.S. to have established a wholly-aligned distribution network through its partnership with A-B. This partnership provides the company with national distribution, which results in both an effective distribution presence in each market and administrative efficiencies. While the volume in this segment has been undergoing a decline, the revenue per barrel has been increasing between 3% and 5% in the last couple of years. We expect these trends to continue, resulting in a 2% sales growth in this segment, translating to increased revenues to the tune of $3.55 million. BREW has entered into multiple contract brewing arrangements, in order to absorb the excess capacity, through which the company produces beer as per the specifications designated by the arrangements. As noted earlier, the company has entered into an agreement with A-B, pursuant to which Craft Brew Alliance will brew and package beer for certain A-B affiliated companies. Given a new agreement signed in January of 2018, we expect the volume to increase over the next two years, along with continued improvement in the revenue per barrel metric. As per our estimates, the growth in the two metrics would result in a 60% rise in revenues from this segment. The management has noted that restaurants in the on-premise channel have witnessed a challenging environment in general, and Craft Brew Alliance’s Brewpubs segment was no exception. Lower traffic to these brewpubs have caused a decline in volumes, and while the revenue per barrel increased significantly in FY 2016, it fell marginally in FY 2017. Looking ahead, we expect a decline in both metrics to continue going forward, implying a $2.67 million revenue drop in this segment.